While it does not seem like it, a full year has passed since pop icon, Michael Jackson died. After years of being bullied by the media, Jackson ended his fight. Even after his death, the stories have continued through gossip blogs and other media outlets. In 2009, Jackson died trying to land the biggest comeback in history. Ironically, Michael Jackson would land this comeback following his death. His music began selling as if he had just released Thriller. After all of the allegations, Michael Jackson had lost all credibility with the people. Despite this, Jackson still wanted to live the lifestyle of a wealthy man. The King of Pop died with his estate in debt. The sales of Michael Jackson had dropped drastically in the last years of his life. But, after he died, his sales began to increase and the prices of his music doubled. Because he was dead, people wanted to hear his old music. 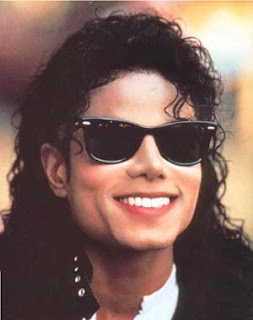 Michael Jackson had not recieved profits of this measure since his peak in the 1980s. Finally back on top of the game, it was sad it took him dying to land the major comeback. While he is no longer headline news, Michael Jackson is still selling a lot of records. When he died, he was able to take over the rest of the year. But, with Kanye West taking center stage at the MTV Video Music Awards and the Tiger Woods controversy, Michael Jackson was pushed to the side. By the time 2010 got into full swing, Jackson was buried by other stories. But, marking a year since his death, people are digging up the memories to get another look at the icon. No longer documented by headline news, Michael Jackson is still one of the top-selling artists in the business and his estate is prospering.